The Parkinsons Recovery 2018 holiday survey was designed to answer the question: Is Parkinson’s Disease degenerative? Listen to the replay above for details about the natural therapies that survey respondents reported helped them feel better. Are people diagnosed with Parkinson’s disease better, about the same or worse since last Christmas? More specifically, what therapies help people get relief from their symptoms? Answers to these questions are revealed and discussed in detail. Most people believe that Parkinson’s disease is degenerative. Is this really true? The annual Parkinsons Recovery survey answers this very question. This program summarizes the findings. The 2018 survey asks a simple question: have you been better, the same or worse since a year ago. Also discussed were therapies that were helpful. This Parkinsons Recovery Radio show website posts more than 11 pages of programs containing about 20 interviews on each page. To locate the replay of a program, scroll down the first page or scroll back pages to locate the date the program listed below was aired. All programs are listed on the radio show website are presented in the order they were aired from 2009 until today. Therapies below are listed in alphabetic order. BEMER- Electromagnetic Therapy February 19, 2018. 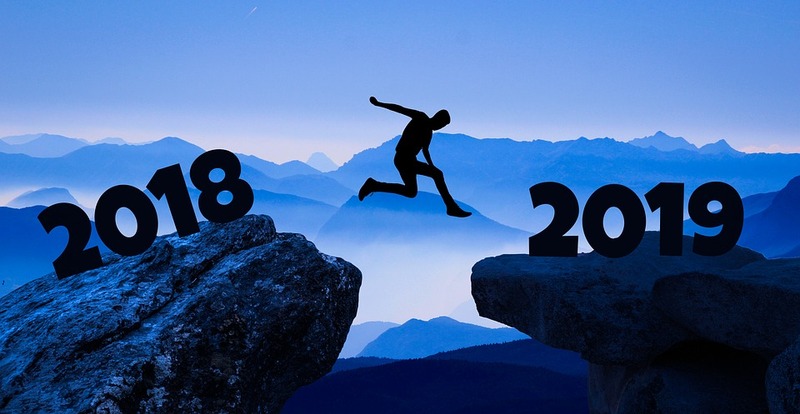 Kick off the 2019 New Year with a program of recovery that will lead to a successful journey down the road to recovery. My program today about natural options for Parkinson’s disease updates my 2018 Update of Road to Recovery from Parkinsons Disease. Really! It has only been two months since I released the update – but so much has happened over these past two months that I wanted all of you to have the recent scoop. Click the arrow below to hear the replay. But so much has happened since then. Doing Everything It Takes to Heal? Following the great suggestions documented on the one and only Parkinsons Recovery resources? Listen to my radio show interview with Bill McAnalley PhD to discover the surprising reason why and what you can do about it! The replay of this interview also includes the teaching notes provided by Dr. McAnalley. 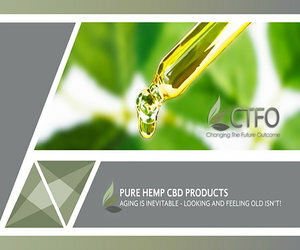 Answer to: What is the difference between the Isolate CBD Oil and the Herbal CBD Oil? Which concentration is the best buy? What has been the re-order rate? Customers have a 6 month opportunity to try it out. If it does not offer the relief they were seeking, the company gives an 80% refund if returned within 6 months after purchase. The main idea is to position a powerful diode where the cerebellum is. This new device comes with a 633 nm intranasal applicator and 810 nm transcranial diode. Diagnosed with Parkinson’s disease three years ago. Don McCammon developed his own compound to treat his symptoms with considerable success. Don wrote an article describing his discovery. The name of the compound he developed is Syncolein. It is a natural product that does not require a medical prescription. They have added an offering of a set of four bottles which includes a ketone meter and strips. Why does a magnetic field permeate the human body? How does the Bemer signal go through my body? Low-frequency pulsating magnetic fields used in magnetic field therapy diffuse at the speed of light and have wavelengths of thousands of kilometers in length. Due to these very long wavelengths they permeate all matter, including the human body. However, an electromagnetic field weakens very quickly with increased distance, losing its intensity. Does Bemer Therapy work with my prescriptions and supplements? Can I still using my prescription drug while on Bemer Therapy? As a preventative measure, BEMER serves to strengthen the body and improve its innate self-regulating mechanisms. It never replaces a conventional medicinal therapy prescribed by a doctor, but in optimal cases could lead to a reduction in the dosage of prescribed medication. Is there any harm to use the Bemer long-term? The following are some of the questions submitted by listeners that I answered during my program this week. When will the 2017 updated Road to Recovery be available? What follows is an article written specifically on Parkinson’s that was written by Dr. Daniel Newman, M.D., N.D., M.S.O.M. and presented to a Parkinson’s support group in Portland, Oregon in October, 2009. For those who are attentive to initials that appear after people’s names, you may have already observed that Daniel Newman is a medical doctor, a naturopath doctor and an expert in Chinese medicine. What a powerful combination that is! I aired an interview with Dr. Newman next month on the Parkinsons Recovery radio show. Dr. Newman has a wealth of experience working with persons who have the symptoms of Parkinson’s and other neurological conditions. Dr. Newman reports evidence of recovery during the interview. He has a clinic in Vancouver, Washington where he sees Parkinson’s patients in addition to individuals with other chronic conditions. This is an insightful and exciting article. I encourage everyone with the symptoms of Parkinson’s to take the time to read it through to the end. It is estimated that Parkinson’s Disease affects 1.5 million people in the United States, and about 1% of all Americans over age 60. While a small percentage of Parkinson’s Disease can be considered hereditary, in the vast majority of cases, the cause is deemed ‘idiopathic,’ or unknown. Nevertheless, there is increasing evidence that environmental toxins play a role in the destruction of the substantia nigra, the nest of dopamine producing neurons in the midbrain whose loss is the defining anatomical feature in Parkinson’s Disease. Toxins implicated in the development of Parkinson’s Disease include: recreational drugs (such as cocaine and amphetamines); pharmaceutical drugs (e.g., phenothiazines and metoclopramide); pesticides (such as β-hexachlorocyclohexane or B-HCH and rotenone); solvents (e.g., toluene, hexane, and trichloroethylene or TCE); and metals (such as mercury, lead, copper, and manganese). Parkinson’s Disease can present as a spectrum of symptoms, from mild to severe. Aside from the characteristic tremor, patients with Parkinson’s Disease may manifest problems with: movement (slow arm swing, small handwriting, accelerating small steps when walking, rigidity, freezing, and decreased facial expression); balance (instability and the tendency to fall backwards); speech (slurred or muffled); diminished reflexes (including blinking and swallowing); sleep disturbance; mood disorders (anxiety or depression); difficulty thinking (cognitive dysfunction or dementia); constipation; and skin problems (either dry or oily). Because of this broad spectrum of symptom type and severity, the treatment of Parkinson’s Disease patients must be individualized. The treatment program for a patient with simply a mild hand tremor should not be the same as for a patient with long-term, severe, incapacitating symptoms. 1. Symptom management – control of symptoms that have already manifested. 2. Neuro-protection – slow or prevent the further loss of dopaminergic neurons by providing the body with compounds that facilitate protection of nerve cells. 3. Detoxification – lower the burden of toxic chemicals in the body to prevent further destruction of dopaminergic neurons. My approach to the treatment of Parkinson’s Disease combines conventional treatment, naturopathic medicine, and Chinese medicine. I believe that each of these approaches has something unique to offer. Conventional treatment, in particular pharmaceuticals, can be helpful in managing the symptoms of advanced Parkinson’s Disease. However, conventional medicine has little to offer in the realms of neuro-protection or detoxification. Naturopathic medicine has a breadth of modalities that can be useful in addressing neuro-protection and detoxification, and can be helpful in symptom management, but may not be able to blunt the symptoms of late stage disease without pharmaceutical support. Chinese medicine utilizes a different paradigm than Western medicine (either allopathic or naturopoathic), looking at the body energetically. It may therefore be helpful in all 3 arenas of treatment, particularly when two of the primary treatment modalities, acupuncture and Chinese herbal formulas, are combined. Management of Parkinson’s Disease symptoms may involve the use of pharmaceuticals, particularly in the later stages of illness. Drugs used for Parkinson’s Disease include those that: boost the amount of dopamine in the brain by offering dopamine precursors (such as Sinemet, Apokyn, and Stalevo); act like dopamine in the brain (e.g., Mirapex, Requip, Permax, and Parlodel); block dopamine’s competing neurotransmitter, acetylcholine (e.g., Artane, Cogentin, Akineton, and Benadryl); and prevent dopamine from being broken down as quickly (Comtan, Tasmar, Eldepryl, and Azilect). While these medications can be useful in some circumstances, they are not without side effects, sometimes serious ones. Also, they may become less effective over time requiring ‘drug holidays.’ And, there is some suggestion that by overly exciting the remaining dopamine producing neurons in the brain, they may actually accelerate the progression of disease. In some cases, deep brain stimulation (DBS) may be helpful in lessening the symptoms of Parkinson’s Disease where medications fail. However, this is an expensive neurosurgical procedure that carries its own attendant risks. It is not a cure, and though it may reduce motor symptoms by up to 60%, worsening of other symptoms, like cognitive dysfunction, is not uncommon. Exercise, such as balance work, Tai Ji, and Qi Gong, has been shown in recent studies to be helpful in mitigating the balance issues in Parkinson’s Disease, and should be a part of any treatment program. Other types of exercise to promote general fitness, such as stretching, strengthening and aerobic exercise, can be useful in promoting general health and well being, thereby improving symptoms as well. Dietary changes and appropriate personalized supplements may be helpful in addressing issues with skin condition, bowel function, sleep disturbance, and mood. A whole foods, organic, anti-inflammatory diet is a basic foundation. Diet should be further individualized based upon food sensitivities and digestive tract issues. Chinese herbs and acupuncture may also be helpful with symptom management. Two systems of acupuncture, auriculotherapy (the use of needles retained in the ear) and scalp acupuncture (the use of needles retained in the scalp) are particularly useful in treating neurologic conditions like Parkinson’s Disease. Chinese herbs are best administered in synergistic combinations, specifically formulated for each individual based upon their Chinese energetic diagnosis. Psycho-emotional health is very important in controlling symptoms. Individual counseling, support groups, meditation, and social networks can all be useful in supporting the spirit of the afflicted individual. Protecting neurons against further damage is an essential part of preventing progression of disease in Parkinson’s Disease. While some nutritional supplements have been studied and show promise in this regard (Coenzyme Q10 and Vitamin E, for example), there are many others for whom more indirect evidence of antioxidant / neuro-protective effects exists. These include: R-lipoic acid, Carnitine, Acetyl-carnitine, Uridine, Alpha-glycerophosphorylcholine (alpha-GPC), Vitamin C, N-acetyl cysteine, Fish oils, Lithium orotate, Zinc, Vitamins B1, B5, B6, B12, Folic acid, and Phosphatidyl serine. There are also a number of herbs that have shown promise in protecting neurons against damage, and / or improving dopaminergic activity in the brain. These include: Gingko biloba, Mucuna pruriens, Vinpocetine, Withania somniferens (Ashwaganda), Bacopa monniera; Rosemary; and several Chinese herbs (Dan Shen, Ye Jiao Teng, Bai Zi Ren, Huang Qi and Suan Zao Ren, to name a few). Not all supplements or herbs should be used in all Parkinson’s Disease patients, nor should they be used in the same amounts. The extent of progression of disease, size and age of the individual, use of concurrent medications, and additional medical problems must all be considered in personalizing a safe and effective regimen. Exercise, as mentioned above, particularly cardiovascular (aerobic) exercise, can increase cerebral blood flow by promoting healthy vasculature, thereby exerting a neuro-protective effect as well. We live in a toxic world. Unprecedented pollution of our land, water, and air, due to decades of emissions, has reached the far corners of the globe. Radioactive plutonium can be found in remote areas of the arctic. Lead from gasoline banned in the United States 30 years ago can still be found in the atmosphere. Residues of pesticides banned over 40 years ago, such as DDT, can still be detected in our food supply. Low levels of long-term toxin exposure tend to have an insidious effect on health over many years. Most toxicology studies look at the effects of acute poisoning, that is, a large dose given over a short period of time. Such studies form the primary basis for government recommendations of safe contact levels. However, we are all exposed to low levels of a multitude of toxins over a long period of time. Data on the effects of this real life exposure pattern is scant. However, experiments have demonstrated that even a single contact to legally acceptable levels of tainted air can have a lethal effect on laboratory animals. Until the point when the sum of cellular damage from toxicity exceeds your body’s ability to compensate, you may feel perfectly well. The moment your body can no longer compensate for the amount of cellular damage you have accumulated, you get sick. It may seem like disease came on suddenly, when in fact you could not sense the accumulation of cellular toxicity until it reached a critical threshold. The total amount of toxicity we have accumulated during our life-times is referred to as our ‘toxic load.’ This is not a single number, like a blood pressure, for there is no way to calculate the total of all the poisons and damage from toxicity we have experienced in our lifetime. Rather, we can get a general idea based upon our past history of exposure to certain toxins. We can also perform tests to detect certain toxins that we may suspect, or that are highly toxic or ubiquitous, such as heavy metals. We can also test for toxicity indirectly, by looking at chemical end products of oxidation (rusting), or levels of antioxidant protection. Some people clearly have high toxic loads based upon their history. I have had patients, including those with Parkinson’s Disease, who acted as flaggers for crop dusting planes, dipped their hands in poisonous solvents to clean mechanical parts, chewed on lead rope, or as children, ran behind trucks spraying DDT or played with balls of mercury. Other patients I have attended to may not have had such clear contact, but upon testing had extremely high levels of environmental toxins from unknown exposures. The first principle of detoxification is not to get toxic in the first place. This means avoiding toxins wherever possible. It is not feasible to avoid toxicity altogether, as there is nowhere on earth that is truly a pristine environment anymore. Nevertheless, there are many specific ways to limit toxic exposure. The most critical step in toxicity avoidance, however, is to be conscious about it. Educate yourself about what is toxic, what alternatives there are or what protective steps you can take. And, keep toxicity exposure in mind when you decide where to live, what to eat or drink, or what products to use. Apart from toxicity avoidance, which is preferred and of paramount importance, the second most important principle is to learn how to work with your body to improve your ability to detoxify. 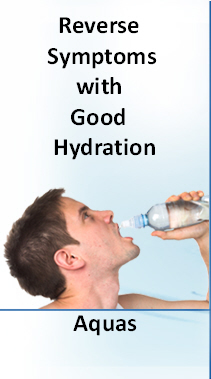 In order to do this, it is helpful to know something about the detoxification process. Detoxification occurs both at the level of the cells and the body as a whole. At the level of the cells, detoxification involves several factors. First, wherever possible, the toxic substance must be removed from the cell and/or neutralized. Anti-oxidants help neutralize chemically reactive toxic substances called ‘free-radicals.’ There are proteins called metallothioneins, which help neutralize and removed toxic heavy metals, such as mercury. The cell membrane, which is the bag that surrounds our cells, is a complex border where decisions (in effect) are made about what gets in and out of the cell. It is mostly made of fat, and having the right balance of lipids in the cell membrane can effect the removal of toxins from the cell. With regard to the body as a whole, enhanced circulation such as with exercise can improve blood flow to the cells, facilitating the removal of cellular toxins. Since much of the body’s toxic load is stored in the fat, breaking down fat with proper diet and exercise can also boost detoxification. Once toxins have been mobilized from cells into the circulation, they must exit the body. They may exit via the urine (kidneys), stool (colon), sweat (skin), or breath (lungs). Elimination may be improved through these organs by various means. However, arguably the most important organ of detoxification is not an organ of direct elimination, but rather the liver. The liver may be likened here to the sewage processing plant of the body. Chemical toxins (raw sewage) must be metabolized (processed) in order to be safely eliminated (dumped) by the body. Most petrochemical toxins, such as herbicides, pesticides, solvents, cleaning compounds, plastics, and cosmetics are primarily lipid soluble. Lipid solubility means that they dissolve more easily in fat than they do in water. To facilitate their elimination, the liver converts them into compounds that are more soluble in water. The liver also attempts to mitigate their toxicity by converting them into compounds that are less toxic than the original compound. By converting poisons in this way, they can more easily be eliminated, and, while in circulation, are likely to be less toxic. Effective detoxification is an ongoing process of avoiding toxins wherever possible, and eliminating those that have accumulated in the body. Elimination involves the mobilization and removal of toxins that have built up in the body. This is most effectively accomplished by a well orchestrated program of facilitating toxin mobilization from the tissues, supporting their removal by the organs of detoxification, and optimizing the function of the body as a whole. Detoxification is not necessarily an entirely benign process. If toxins are mobilized faster than they can be eliminated from the body, or if the body is not properly supported during detoxification, then people can feel more ill than they did before the process was started. This may occur due to a phenomenon known as ‘re-distribution,’ in which a toxic molecule residing in a harmless location (let’s say, the fat in your buttock) is mobilized into circulation, but before it can be eliminated from the body it ends up re-depositing in a not so benign location, like the brain. Thus, while some aspects of detoxification are safe for individuals to self-administer, others are best guided by well-trained physicians. Even in the best of hands, depending upon one’s initial state of health, constitution, and toxic load, it is not uncommon for people to feel initially worse before they get better. A successful detoxification program is therefore a bit like conducting an orchestra or making a soup: you need the right components or ingredients, in the right amounts, introduced at the right time. Sometimes, small well-placed adjustments can mean the difference between a serenade and cacophony, or delectable versus inedible. Successful detoxification requires a degree of vigilance for toxicity avoidance: eating clean food, drinking clean water, and generally avoiding chemicals in one’s environment. The remainder of the detoxification process, which should be supervised by a physician skilled in this process, would include diagnostic testing to assess hormone balance, nutritional deficiencies, signs of inflammation, and other disease states. Following this, appropriate supplements and procedures to facilitate toxin elimination would be prescribed. In summary, an integrative individualized treatment program for Parkinson’s Disease takes into consideration the stage of disease progression, and overall health and age of the patient. There are three main areas of focus: symptom management; neuro-protection; and detoxification. Conventional, naturopathic, and Chinese medicine modalities should be skillfully blended to maximize treatment efficacy. Naturopathic Medicine 8301 NE Hazel Dell Ave.
when confronted with this type of news is a herculean task for most people. Robin Williams was already prone to depression. He had struggled with drug addiction issues his entire life. Hearing the news that he had Parkinson’s disease may have struck the final blow to his interest in living on this earth. I have interviewed hundreds and hundreds of persons who have just been diagnosed with Parkinson’s disease. Without exception, everyone is devastated. They fear the worst. They foresee no hope of healing. Most people quickly hear that the condition is “degenerative” and prospects for recovery are nill. such news might well have been the final blow for Robin Williams. This is what most people believe. My research shows it is not true. First, a majority of persons who have been diagnosed with Parkinson”s disease probably have something else – toxins perhaps, bacteria perhaps, trauma perhaps – or perhaps a combination of all three. Second, there are dozens of therapies and treatments that help people reverse Parkinson’s symptoms. Once a person identifies the primary factor that causes the symptoms they can find a therapy that will help heal the condition. to heal are the magical combination that helps people reclaim their lives. The world has lost a talent and a spirit that can never be replaced. To prevent such a tragedy from happening to others, please spread the word that Parkinson’s is not degenerative or progressive. It is only through thinking it is that the expectation becomes true. The body really does know how to heal itself. I only wish Robin Williams had known this last week. Is big picture science or little picture science the best strategy to pursue if you are determined to reverse the symptoms associated with Parkinson’s Disease? There are two sides to this curious coin of choices. I initially began my research career in the gold standard tradition of all academic research. I constructed a narrowly focused program of research – one that only a few other academics were pursing. 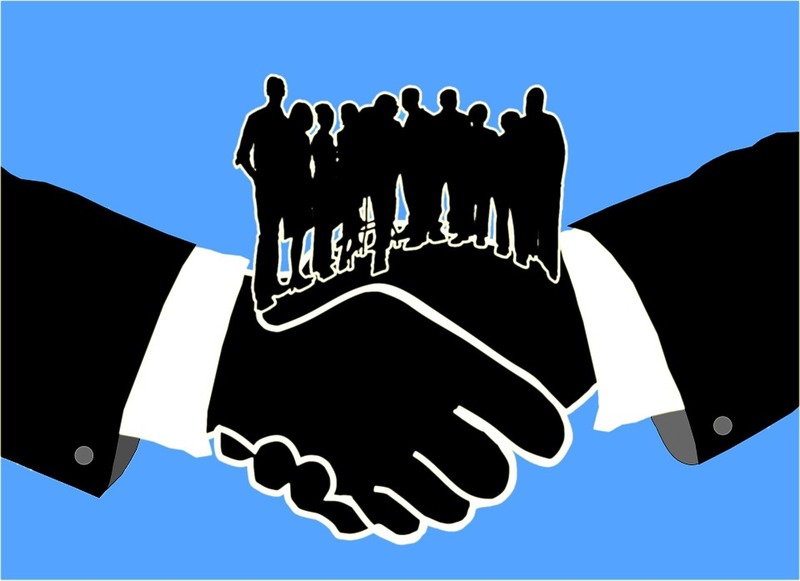 The strategy worked for me as it does for all other successful academics – I published in the best journals, worked in excellent universities, was promoted and tenured. did not have the impact I had envisioned when I went to all the trouble to earn a Ph.D. Discouraged that the best of my energy and efforts resulted in outcomes of little consequence I quit my academic position a decade ago to pursue big picture science. I did not want to waste my life away studying narrowly constrained questions. agenda to investigate what causes Parkinson’s symptoms and what people had done to reverse them. Having opened the opportunity to consider any and every possibility, I have unearthed many exciting discoveries over the past decade which are documented in my radio shows, blog and books. I could not have done this work in a university setting while engage in Little Picture Science. So much for my story. Have you been narrowly focused in your thinking? Have you been chasing after a pill or therapy that will fix everything? Such an approach engages a narrowly focused strategy that, as with my experience, promises a feeble result in most cases. In this place and at this hour I encourage you to pause and take a step backward for a moment. Ask yourself big picture questions. What is the origin of your symptoms? What happened to you six months to a year before your symptoms became problematic? By asking yourself big picture science questions like these you will likely discover answers that will help guide you down a steady course to recovery. There is nothing wrong with the small picture scientific approach, but it promises to produce disappointing results. That has certainly been my experience. I expect the same will be true for you. 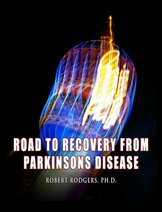 Listen to Robert Rodgers, Ph.D., Founder of Parkinsons Recovery, discuss the factors that cause Parkinson’s symptoms and the various therapies that are helping people reverse them on Voice America Radio. Positive energy is my power over Parkinson’s disease. Some times I want to give up, but when the tremor tries to take over I get the fight back in me. A Doctor told me to give up my motor cycle. What did I do? I went out n bought a bigger one. Riding my Harley forces my mind to work harder. The tremor slows and my balance improves. Think positive. I can do this. I have been fighting this for over 13 yrs. I can not stop as long as there is hope. My guest on this week’s radio show is John Schappi. 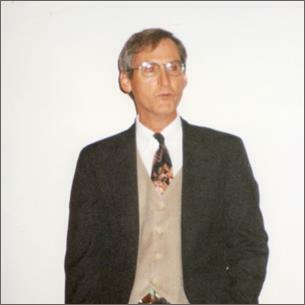 Diagnosed in September, 2009 at age 80, John blogs about Parkinson’s Disease and aging at http://parkinsonsand5htp.blogspot.com. A Washington, DC resident, he pursues many interests, including gardening, bridge, travel, biking, and internet research. His blog “Aging and Parkinson’s and Me” is designed to be a place for seniors dealing with Parkinson’s and other afflictions to share their experience, strength and hope. Anyone, anywhere can employ therapies to get sustained relief from the symptoms of Parkinson’s Disease. Many of the therapies that help are not intrusive. Many are natural and safe. Therapies that help other people may not necessarily offer you relief. Everyone is different. Anyone who claims their therapy or treatment can help everyone with the symptoms of Parkinson’s will not be able to justify their claim. Why? Because it can not be true. Any particular therapy may certainly help some people, but not everyone. People who are on the road to recovery experiment. They try different therapies to discover what works for them. It is highly unlikely that any single treatment or therapy can ever address all symptoms. A combination of therapies is needed. Dopamine deficiency is a tiny part of the big picture. Focus on bringing back on line all systems in the body – the immune system, the digestive system, the lymph system as well as the neurological system – and you will begin to feel better. Pouring more dopamine in your body can certainly help you feel better in the short run, but in the long run the root cause of the symptoms has not been addressed. Trauma lies at the root of the symptoms. Negative thought forms feed the symptoms. Commitment and focus are needed to recover. If you are not taking charge of your health care, you probably have an unconscious resistance to healing. Little progress will be made until you release resistance to healing. Parkinsons Recovery will convene a group of people who are committed to their own recovery on a seven day cruise to Alaska in May. Why not join us? Discover for yourself that there are many people with Parkinson’s Disease who are getting incredible relief from their symptoms. Find out for yourself what they are doing to feel better. You don’t have to wait for me to interview them on my radio program! Don’t take my word for it. When you hear others on the road to recovery, you will know in your heart and soul that recovery is possible. Are you thinking a cruise to Alaska would be too expensive? If you sign up for the cruise by December 29th by giving a small down payment, the cost is only $100 a day for seven days. You can’t go on any vacation anywhere for $100 a day. To get the early discount rate, you will need to sign up by December 29th. sometimes, it makes me sad. to do those basic things. not sure what next, life brings. but I get up, keep going. I’m not the kind to give up. I’m not the kind to quit. Sometimes, I have to sit. tomorrow, it could be gone. You do not believe that Parkinson’s is a disease!!!!! Do you not believe that there is physical damage to the part of the brain that produces Dopamine? Do you not believe that the damage has been verified by examining brain tissue from deceased Parkinson’s patients? Is the brain not part of the body? Is the brain just “out of balance”? Thanks so much for your e mail and your question. I know many people think the same way you think. Since thoughts can manifest anything our heart desires, holding this thought will insure that our body will forever remain broken. What percent of the body is “broken” in the case of Parkinson’s? I assure you that answer varies widely across persons. My hunch is that a tiny proportion of cells are problematic: perhaps 1%; maybe 3% for some people. At least 97% of the cells are working perfectly. I would say that is close enough for me to say that the body is working perfectly. Speaking for myself, I get much more energy by focusing on what is working than what is not working. You say that damage has been verified by autopsies. This is certainly true, but only in a minority of autopsies. For a majority of autopsies, they find no substantia nigra damage. Don’t take my word for it. Do your own research on the matter. I have been surprised myself to see how low the percent actually is. My point is that you are holding the belief that cells in your brain are dead. It may be the case that a tiny fraction of cells in your brain are dead, but cells are dying throughout the body all the time. It is the natural process of life and death. It is also possible you are one of the majority where there is no damage to your substantia nigra. There is no way to tell without an autopsy. A third of the people who have a diagnosis of Parkinson’s are misdiagnosed. It happens. There is no definitive test for it. Perhaps you are one of the one third who have been misdiagnosed? There are certainly many possible causes for the symptoms. For example – perhaps toxins are the culprit and not cell damage in the substantia nigra. Let’s say all of these speculations are wrong and that yes, you do have neural damage in the substantia nigra and that yes, you do have Parkinson’s Disease. New cells can be created anywhere in the body anytime. If you happen to have an overabundance of dead cells in the substantia nigra for the moment, you can set your intention to grow new ones. If the body can make new cells, I would say it is working perfectly. Here is the rub: If you focus on the dead cells (assuming they even exist) you are assuring that new cells will not be created. Your thoughts are centered in a negative sphere. If you focus on the reality that your body can heal itself, it will heal itself. This is what I have learned from my research. At the core of all healing are our thought forms. If you think your body is broken I can assure you it will remain “broken” and become more “broken.” If you believe your body can heal itself, new cells will be born, hormones will be balanced, and your body will return to health and wellness. The most powerful force in the universe are thoughts. When we change how we think, we change the course of our lives. This is what motivated me to write The Five Steps to Recovery which is all about how to transform our thoughts. I surely appreciate all the info I receive from you regarding PD, however, it now has become overwhelming due to emails “everyday” from you. It now has a negative effect because it reminds me “every single day” that I have PD. I need a stretch of days where I can enjoy that time not being reminded constantly that I am living with PD. Don’t get me wrong, you are providing a wonderful site and I am grateful for your dedication but I just need those few days without the reminder. Thank you & be well. I have been perplexed about this issue too recently. When I do not send an e mail out every day, people write and tell me that they miss it. When I do send out emails daily, some people unsubscribe to the e-mails because they are overwhelmed with too much information. In light of your input, I will reduce the sending frequency and see if I can hit a middle point. I know many other people who are dragged down into a ditch of depression when they connect themselves with a diagnosis of Parkinson’s Disease. 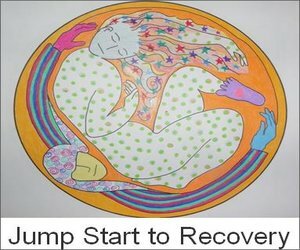 When this thought form space is visited, it connects you with the belief that recovery is impossible. My suggestion is to challenge this belief that you probably hold (along with millions of others). Think of the symptoms as messages your body sends about certain imbalances in your body that merit attention. The symptoms are information that can help you figure out what is needed to bring your body back into balance. It is not true. When we believe it is true, the thought will manifest. When we hold the belief that recovery is possible, symptoms dissolve in their own way and time. I wonder when Parkinson’s Disease started? I wonder if it when the industrial revolution began, in the late 18th century, or before that? The individual who is credited with isolating the symptoms of Parkinson’s Disease is James Parkinson who wrote an article entitled “An Essay on the Shaking Palsy” in 1817. Forty years later the symptoms of Parkinson’s were identified as “Parkinson’s Disease” by Jean Martin Charcot. His name is thus now used as the diagnostic term neurological diagnosis of symptoms by medical doctors. Did the symptoms exist before then? Obviously we do not know for sure, but there is evidence in early writings of neurological problems that existed hundreds and hundreds of years previously. Since Parkinson’s is affected by stress, I suspect that the prevalence of Parkinson’s has been more pronounced during those periods of history which were tumultuous. The neurological system is very delicate. It does not take much to challenge it. It would seem logical to me to conclude that the symptons were present in one form or another throughout history. Is there any way to mail my father-in-law a newsletter (instead of email) to his home. He does not have email. He was diagnosed with Parkinson’s and is very eager to learn as much as he can about his condition. He has no access to computers (he can’t even turn one on). I printed out as much as I can from different sites, but he still wants more. If it is at all possible, he would be so happy and I would be once again his favorite daughter-in-law. I have two possibilities for your father-in-law to consider. First, I have published a print book, Pioneers of Recovery which he (or you) could order. You can order the print book or receive nine CD’s which are recordings of the interviews or even purchase an MP3 player that is loaded with the interviews. The publication company can give your father in law instructions on how to use the fully loaded MP3 player if he is interested in listening while he exercises or takes walks. There is a ton of helpful information in the Pioneers of Recovery interviews. If you decide to order the book or cds or MP3 player, enter the code word “pioneers” in the coupon code field on the shopping cart and you will receive a 25% discount on whatever is ordered. I will publish my own book Road to Recovery out soon, but it is not currently available in print format. I will talk with my support company to see if they are willing to mail out the newsletters. Maybe something can be set up. I know there are many other people in the same situation as your father in law. There are many wonderful therapies that help. I hope he finds what he needs to start feeling a lot better soon.